This 16.5×31.75mm. dainty solid 14k. 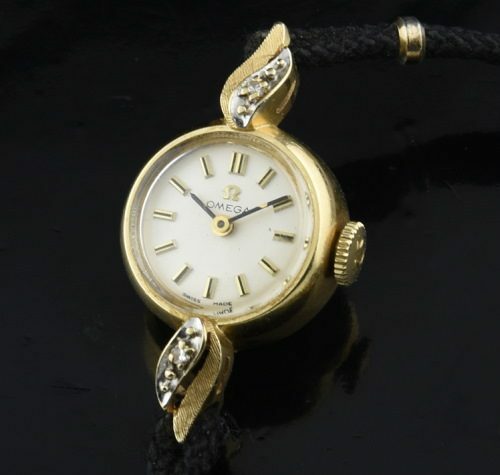 gold ladies watch dates to the 1950’s and is highlighted with its diamond bezel. The fine OMEGA movement was just cleaned and is accurate. Notice the OMEGA winding crown is still present. The overall condition is excellent. 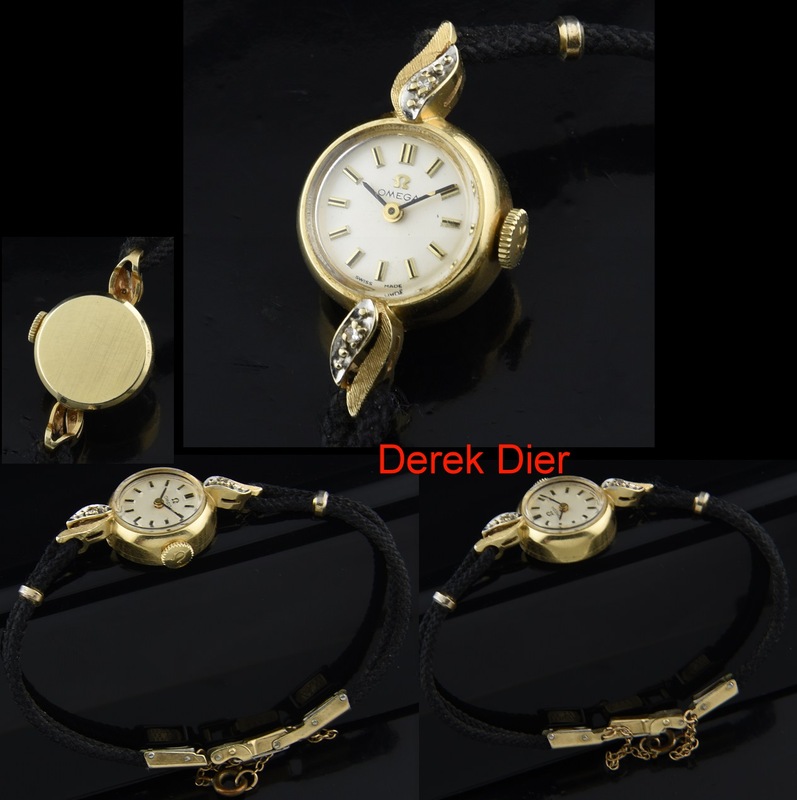 A solid gold OMEGA priced at only $495.